Root canal treatment is used to treat deep decay and damage in the central or pulp portion of the tooth. 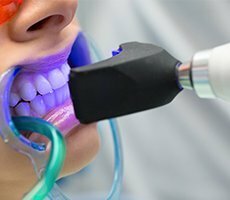 At Chattanooga Dental Studio, Dr. Chris Robertson helps patients in Chattanooga, TN, avoid tooth loss with state-of-the-art root canal treatments aimed at preserving the natural tooth. Root canal therapy is used to treat decay and other damage in the deeper interior portion of the tooth called the pulp. The pulp is contained in channels or canals that extend from the center of the tooth into the jawbone. Nerves, blood vessels, and connective tissues are found in the pulp, and when they become damaged, the health and integrity of the tooth are significantly compromised. 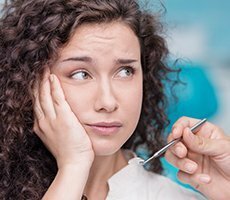 Root canal therapy removes the damaged pulp and uses special sealing and filling techniques to strengthen the tooth so an extraction can be avoided. A root canal is similar to a “regular” filling in that it aims to remove the damaged portion of the tooth and to fill the resulting area. Because the pulp is harder to access and contains different tissue compared to the superficial portion of a tooth, special tools and techniques are used during the procedure. 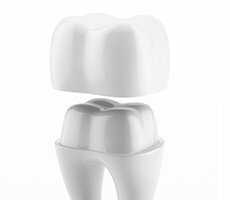 Once the damaged pulp is removed, the canals are sealed to prevent additional decay or damage from occurring and to protect the root end of the tooth. 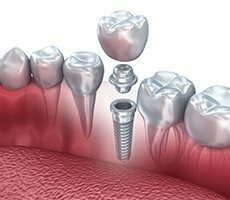 Root canals are followed by the application of a dental crown, a protective “jacket” that surrounds the entire tooth to provide additional strength to the tooth and to hide discoloration and darkening that occurs once the pulp portion of the tooth is removed. At the completion of the root canal, a temporary crown may be placed over the tooth to protect it while the permanent crown is being fabricated. Root canals use special pain management techniques to increase patient comfort both during and after the procedure. Generally, yes, it’s almost always better to save a tooth whenever possible. That’s because when a tooth is lost, it can alter the bite mechanics and bite balance, resulting in jaw strain and pain as well as uneven tooth wear that can increase the likelihood of additional decay and damage. 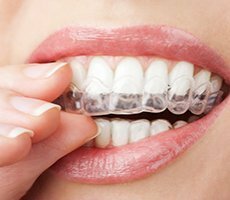 Plus, preserving an existing tooth is usually much more cost-effective than pulling the tooth and replacing it with a denture, bridge or implant.